Everyone in my family is a fan of sauerkraut. I’ve loved sauerkraut as long as I can remember. The only down side is I feel like I’m constantly looking for new ways to use it in my cooking. 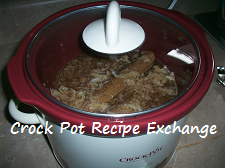 Luckily, the other day I saw a post by The Brown Eyed Baker for ﻿a kielbasa recipe that used sauerkraut. 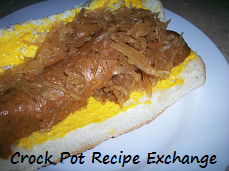 She put a disclaimer in her post that she was NOT a fan of sauerkraut (which I don’t get at all (o: ), but loved this recipe. I knew instantly that I had to give it a try. 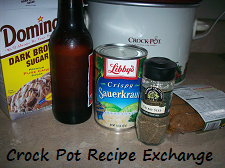 Place the kraut, brown sugar, beer and celery seed in a 2 – 3 quart crock pot. Stir to incorporate. 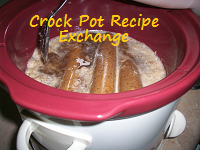 Nestle the kielbasa in the kraut mixture. 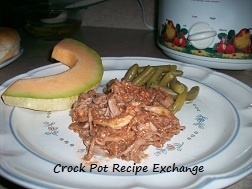 Place lid on and cook on high for 4 – 5 hours or on low for 8 – 10 hours. Serve on buns with your favorite mustard or as is with a side of mashed potatoes. This was truly delicious. It served the 3 of us perfectly, but could easily be doubled for tailgating, parties or simply more people. 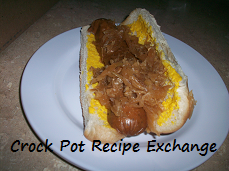 The sauerkraut was sweet and very complimentary of the kielbasa.